Today DC Comics have anounced the arrival of the second year of hit digital first series with Injustice Year Two. 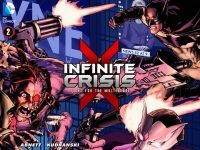 Not only is it arriving on ComiXology and in print, but on the Madefire app – and what’s even better it’s appearing on Madefire and ComiXology at the same time – a true digital first title! 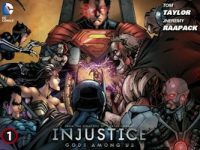 With Injustice: Gods Among Us, Liam Sharp and co’s Madefire team are facing a challenge as big as the Justice League themselves, transferring iconic characters like Superman, Batman and Wonder Woman to their motion book platform. How have they managed with their biggest challenge to date? 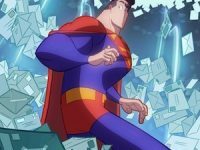 DC Comics have announced a new slate of creators and artists for their popular digital-first title Adventures Of Superman. 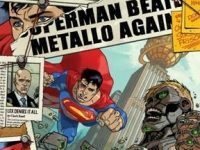 Each story celebrates the Man of Steel in a unique and interesting way based on the take of each creator. 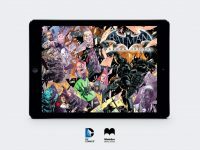 Madefire and DC release ground breaking new digital graphic novel Batman: Arkham Origins. 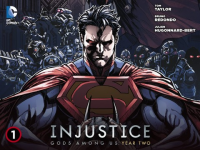 Plus all new Injustice: Gods Among Us motion book! 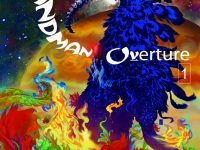 News: Neil Gaiman’s The Sandman: Overture #1 launches today! We return to the world of The Endless this week with the release of Neil Gaiman’s The Sandman: Overture #1 from DC Comics imprint Vertigo. 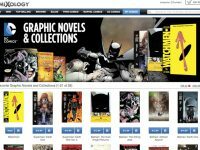 The first installment of the six-issue series hits ComiXology and the DC Comics app and marks Gaiman’s first Sandman story in 10 years – we could not be more excited if we tried! If you’re a fan of DC Comics digital first titles like Adventures of Superman and Legends of the Dark Knight then you’re in for a treat as both are about to change creative teams and LOTDK is set to move to Tuesdays so make a note in your diaries! Fans of Elena, Stefan and Damon have even more to be excited about as the new Vampire Diaries digital comic from DC Comics will launch on Thursday, October 31. 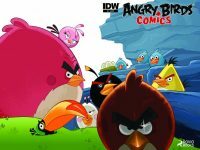 With the comics world focusing on this week’s New York Comic Convention, ComiXology and DC Entertainment have announced an extensive line-up of graphic novels and collected editions are now available for download on your iPad and iPhone.